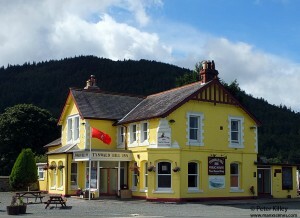 The Tynwald Hill Inn at St. Johns with Slieau Whallian mountain in the background, the mountain is also known as “Witches Hill” and legend has it that witches were rolled down the hill from the top in spiked barrels and if they were alive at the bottom they were judged to be witches and put to death. (source: An Illustrated Encyclopedia of the Isle of Man). 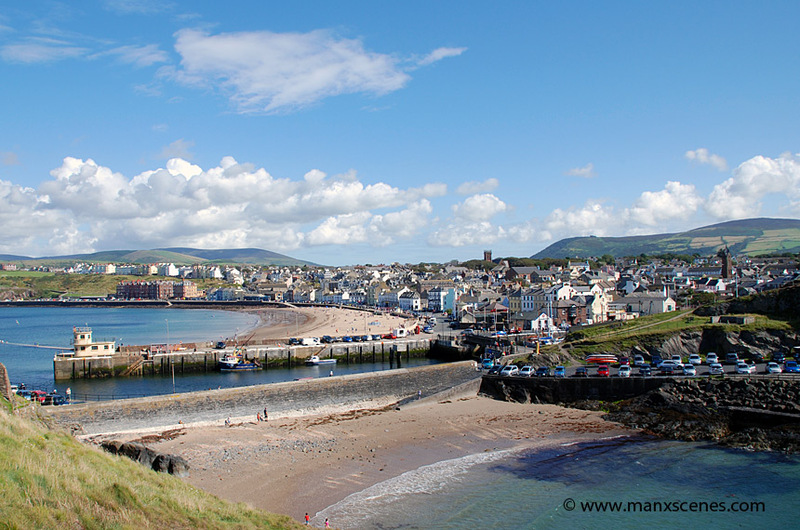 Standing on the footpath at the side of Peel Castle and looking over Fenella Beach towards a busy Peel Beach. The mountain centre left is Greeba Mountain and the hill to the right of the image is Slieau Whallian. 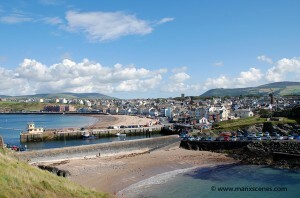 The spire in the centre right of the image is St Germans Cathederal which is why Peel is classed as a City!